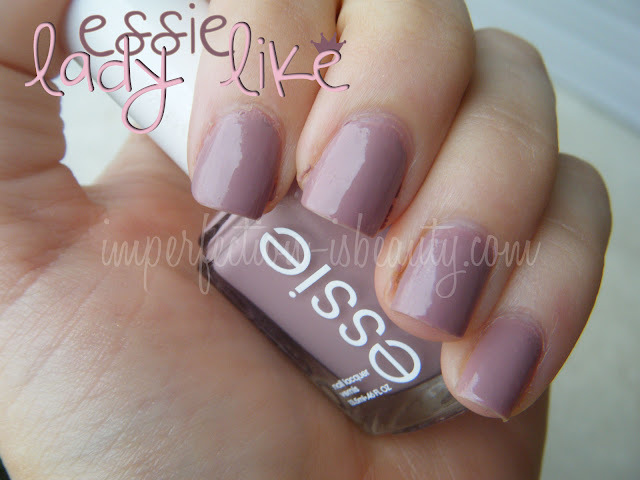 Essie's Lady Like is from essie's latest fall 2011 carry on limited edition collection. This is one of my favorites from this collection. Its so elegant, girly, and gorgeous. This color looks almost like a dusty taupe-y rose/ mauve color with cool blue undertones perfect for the fall, very neutral and looks absolutely beautiful on. The consistency and formulation is great, very opaque with one thick coat however I did apply two. I love how smooth and thick it applied. This is another reason I love essie polishes, haven't really found a to many essie polishes that I'm not pleased with. The lasting power is pretty great and I love the feminine touch it has. Again essie did a fabulous job on their fall collection. what a beautiful color! I love it on you! oh man really...!! just got like 3 ESSIES nail polishes and this is so calling my name I love the color and love how you have your nails nice and short thats my favorite length now a days!! thanks hun for the post ! Such a lovely colour, I think it would be perfect for spring or fall. I'm still into bright nails at the moment, so I can't get enough of Pink Flamingo by Barry M.
We love Essie too! This color is beautiful! We have a slight problem when it comes to nail polish! I bought this polish about 2 weeks ago and I love it. I can't wear polish's that are too dark at work being I'm in the medical field and this one is perfect. It looks so cute with my burgundy scrubs. Essie Lady Like is gorgeous, thanks for the swatch. I want to pick this up for Fall. Thank you ladies! I love this color so perfect for the fall, really looks great on. I think it would look great on any skintone.